The former Secretary of Commerce, investor and entrepreneur will share her observations on the impact of technology on the workplace at the inaugural HR Transform conference. I am looking forward to exchanging perspectives on the future of work and the impact of technology on the workplace with this unique audience of investors, entrepreneurs and industry executives. 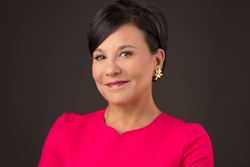 One of the foremost authorities on the future of work, The Honorable Penny Pritzker, Founder and Chairman of PSP Capital and the 38th Secretary of Commerce will keynote HR Transform 2018. Known as both an entrepreneur and an investor, Ms. Pritzker will share insights on how technology is driving change and how companies prepare for success in this new future. Penny Pritzker is an entrepreneur, civic leader and philanthropist with more than 30 years of experience in numerous industries. Pritzker is the Founder and Chairman of PSP Capital Partners and an active investor in the HR Technology sector. HR Transform, taking place April 4-5, 2018, highlights the tech-driven transformation of the workplace, bringing together entrepreneurs, investors and HR practitioners from across the country. This premier event will showcase leading edge HR and workforce-related products and shine a spotlight on the people building, funding and adopting those products. “I love building businesses, and know firsthand that your most important asset is your people. The organizers of HR Transform share my passion for talent as the key driver to successful organizations. I am looking forward to exchanging perspectives on the future of work and the impact of technology on the workplace with this unique audience of investors, entrepreneurs and industry executives.” Penny Pritzker, Founder and Chairman of PSP Capital Partners. HR Transform is brought to you by the same team that created InsureTech Connect, the largest global gathering of insurtech startups, investors, and industry executives. HR Transform will offer unparalleled access to a comprehensive gathering of entrepreneurs, investors and HR executives from both enterprise and mid-market companies. Founded by Jay Weintraub and Caribou Honig in 2017, HR Transform will be held April 4-5 at The Mirage in Las Vegas.